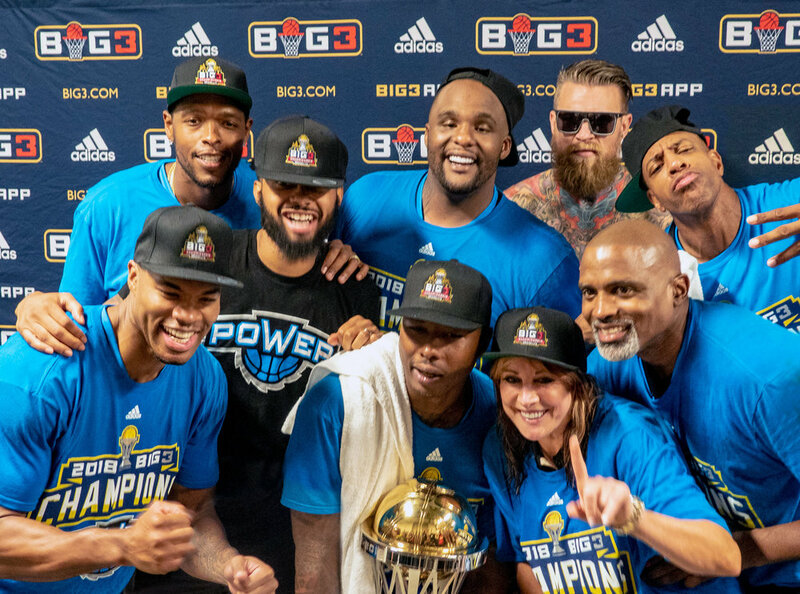 The visual assets for the inaugural Big3 Championship identity leverage the league's primary logo and color palette, supplemented by a graphic depiction of the Big3 Championship Trophy. This approach served several purposes—it helped to buttress the league's core identity and it also helped introduce the trophy, an important and highly leverage-able asset in and of itself. Creative components include playoff and championship identity programs and environmental graphics, as well as a range of retail merchandise for the league and their licensing partners. 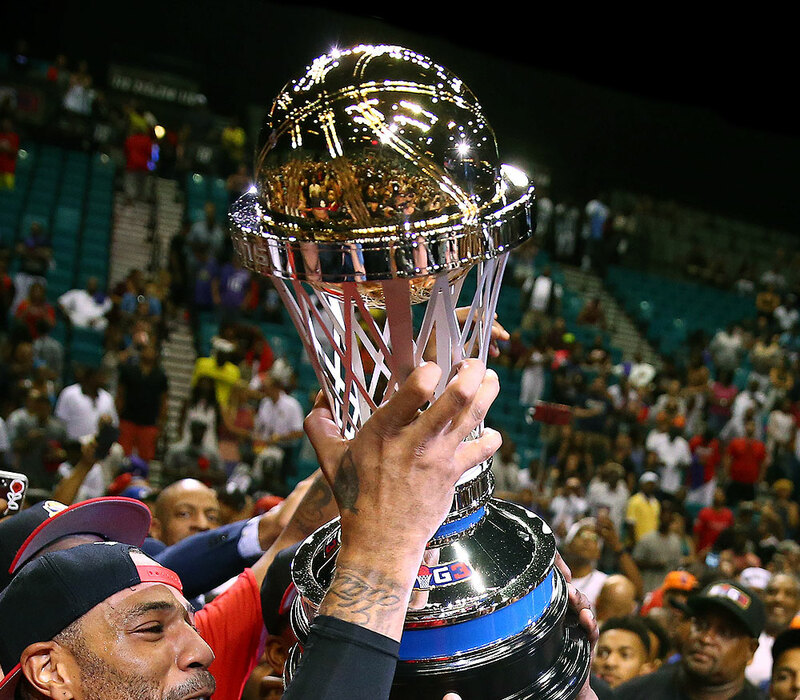 The Big3 Championship Trophy, which tracks the league’s net and ball logo, weighs in at an impressive 30 pounds. The trophy stands nearly two feet high and is topped off by a basketball, covered in 24K gold. I was responsible for selecting a firm to create the trophy, which was fabricated by hand by a team of expert craftsmen in Smithfield, Rhode Island. I oversaw production and traveled to the factory to approve the finished product, which was awarded to the inaugural season champions, Trilogy, on August 26, 2017, in Las Vegas.